The false narrative of conservative targeting was used to justify restrictions on regulating 501(c)(4)s.
Good-governance groups have long pointed out that the 2010 Citizens United decision by the U.S. Supreme Court allows outside entities to spend an unlimited amount of anonymous money on our elections, corrupting the process. That's true in practice: In the wake of the decision, special interests, like conservative oil and gas magnates Charles and David Koch, began funneling money into dark money organizations created under section 501(c)(4) of the tax code to spend in elections. But under the law, these tax-exempt 501(c)(4) groups must be set up "exclusively ... for the promotion of social welfare" — which, according to the IRS's own regulations, "does not include direct or indirect participation or intervention in political campaigns on behalf of or in opposition to any candidate for public office." The problem isn't that the IRS can't regulate these groups; it's that Republican lawmakers, who disproportionately benefit from this spending, successfully pressured the agency into not scrutinizing conservative organizations as a result of an incomplete report that suggested they had been targeted for improper investigation in the first place. In 2013, the IRS issued a report that found that the agency had singled out conservative tax-exempt groups for increased scrutiny. Notably, the 2013 report did not look into whether progressive groups were similarly targeted. That important omission, however, did not stop Republicans from using the report as bludgeon to beat the IRS into submission. Republicans fell over themselves to express their outrage, holding countless hearings on the report, accusing the Obama administration of Nixonian dirty tricks and even calling for the impeachment of IRS Commissioner John Koskinen (never mind he took over after the allegations were made public). The only problem is that the report, and Republicans, weren't telling the whole story. Last month, the Internal Revenue Service released a more comprehensive audit of its treatment of potential political groups and found that left-leaning groups had, in fact, been flagged for closer scrutiny. 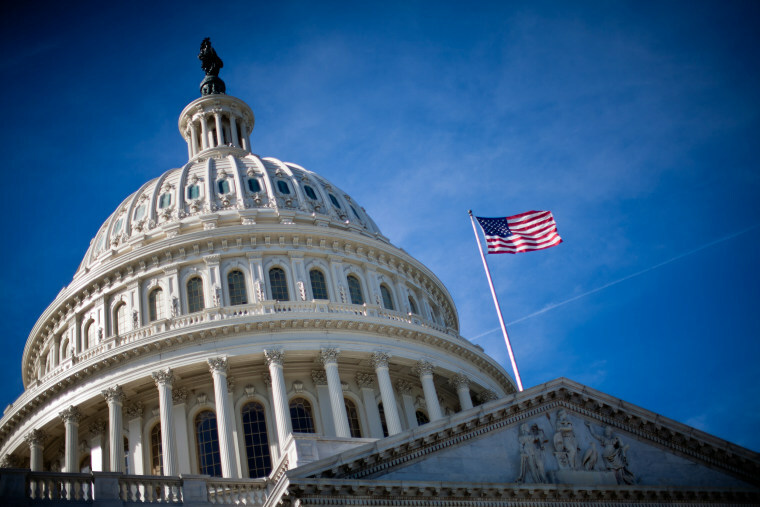 The new audit found that from 2004 to 2013, groups with words like "progressive," "green energy," "occupy" and "health care legislation" in their names or descriptions were subjected to additional inspection. So instead of Obama-directed targeting of conservative groups, as Republicans alleged, the IRS under both the Bush and Obama administrations looked into groups on both the right and left. Republicans have been largely silent in the wake of the new report; I wouldn't hold my breath waiting for an apology. But they were effective in using the now-debunked "scandal" to batter the IRS into a defensive crouch, allowing Republican dark money groups to run amok with no fear of any regulation. And they also used the false narrative of conservative targeting to justify restricting the agency's ability to regulate 501(c)(4) organizations. It worked. To this day, 501(c)(4) groups openly and notoriously engage in unlawful political activity with no repercussions. ProPublica investigated the tax and election filings of 104 organizations to see whether they were reporting consistent amounts of political spending. It found that 32 groups reported political spending to the Federal Election Commission or state election commissions but told the IRS they spent no money to influence elections. Both statements cannot be true. Yet neither the IRS nor the FEC have raised an eyebrow. It is a criminal offense to make a material false statement to a federal agency under Section 1001 of the federal criminal code. But neither the IRS nor the FEC have ever referred a case to the Justice Department to investigate. As commissioner, Koskinen — who ended his stint atop the agency this month — did nothing to crack down on tax-exempt groups that take advantage of vague Treasury rules to spend unlimited secret money in our elections. Now that we know that the IRS did not single out conservative groups (and that the manufactured Republican uproar was disingenuous, or even manipulative), perhaps Koskinen's successor at the IRS will find his or her spine to begin enforcing the agency's own regulations. 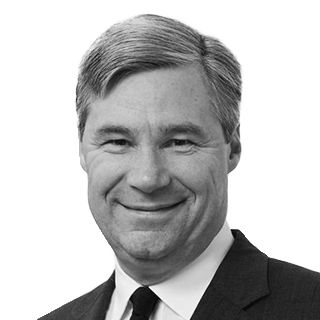 Sheldon Whitehouse, a Democrat, is a U.S. senator from Rhode Island. Sen. Sheldon Whitehouse, a former U.S. Attorney and Attorney General of Rhode Island, is a member of the Senate Judiciary Committee.